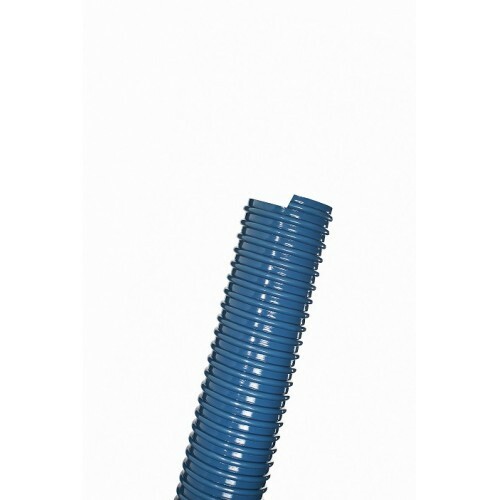 Technical Features: Super elastic PVC ducting reinforced with an anti-shock PVC helix. Completely smooth inside, corrugated outside. Wall thickness from 1.2mm to 2.7mm. Properties: Eolo SE has high mechanical characteristics, light, flexible, really good bending. Very good resistance to ozone, atmospherical agents, hydrolysis, ageing, UV Rays, and most chemicals. Halogens free conform to RoHS. It is particularly suitable for industrial vacuum cleaners, air conditioning plants and suction of fumes, gasses, etc.